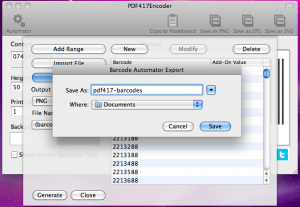 PDF417Encoder is PDF417 barcode generator that creates perfectly functioning PDF417 barcodes for use in packages, labels, envelopes, etc. 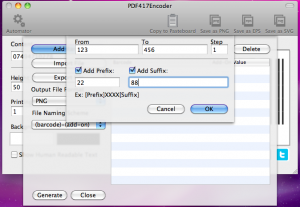 The intuitive interface will alleviate your work greatly. Using the help section, your PDF417 barcodes will be created quickly and with no hardships. This, as all our barcode generators, includes the feature for bulk generation. 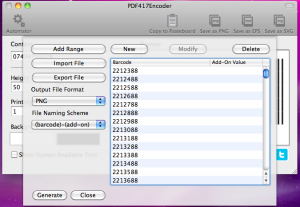 With it you will generate tens or hundreds barcodes at once for multiple products. 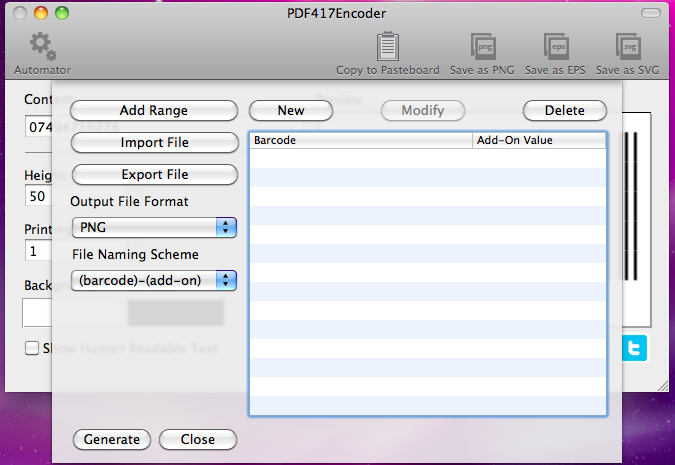 The formats in which you can save your final creations are PNG, EPS and SVG images. 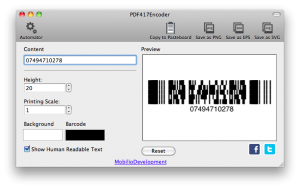 This PDF417 barcode generator will make your barcode creation process faster and easier to manage than ever before.It is available on the Mac AppStore. 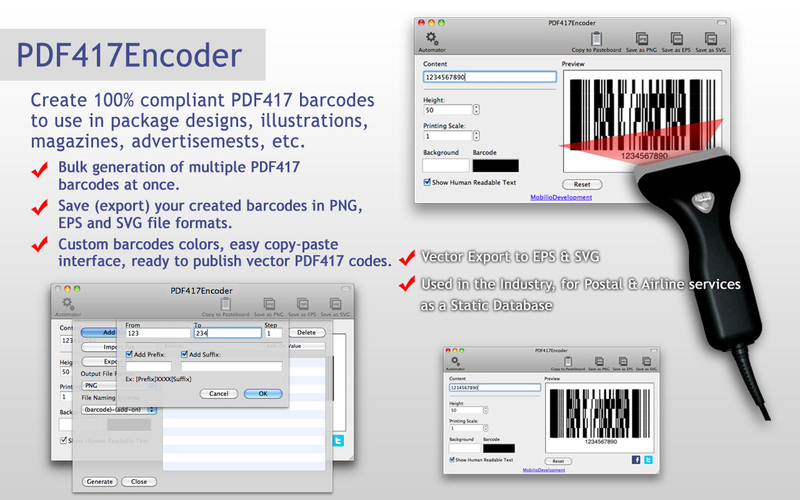 There you can see our other great barcode generation apps: QREncoder and UPCEncoder. 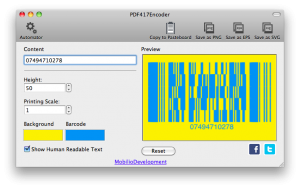 PDF417 is a two-dimensional, linear barcode which, as the most barcodes, is used for product identification or tracking during transportation. It is made of vertical lines and spaces and the lines themselves are made of vertical, consecutive black and white parts. PDF is the abbreviation of Portable Data File. 417 stands for the following: each character is encoded with 4 bars and spaces and their total width is always 17 units. 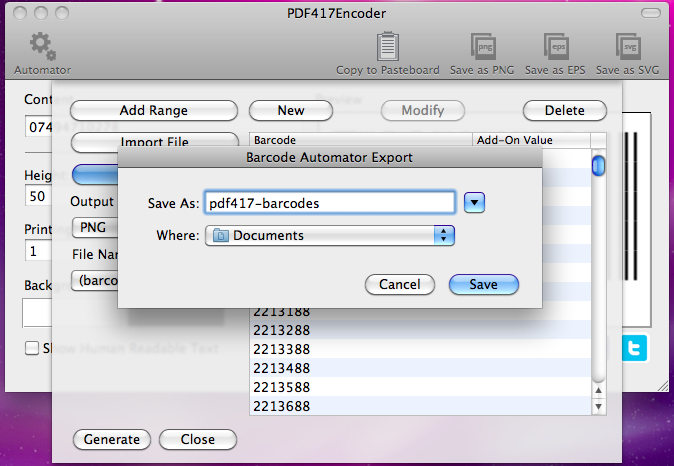 PDF417, alongside with Data Matrix, is accepted by the United States Postal Service as an equivalent of the post stamp. 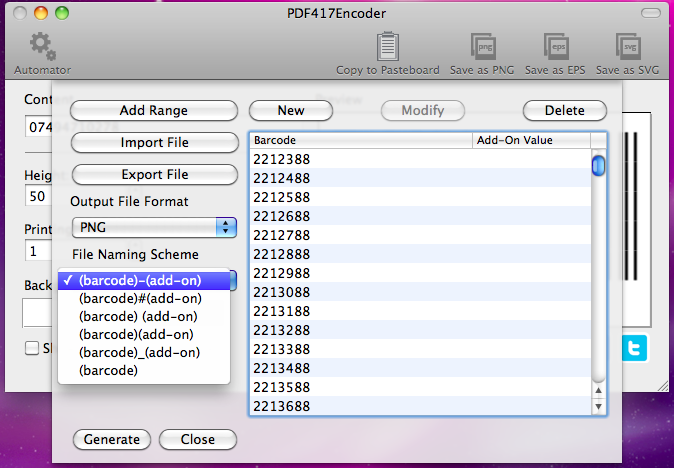 It is widely used in the airplane services as identifier on the boarding passes. So if this barcode is so convenient and free for use, here comes the simple question – “How can I create my own” – and the even simpler answer – with PDF417Encoder. 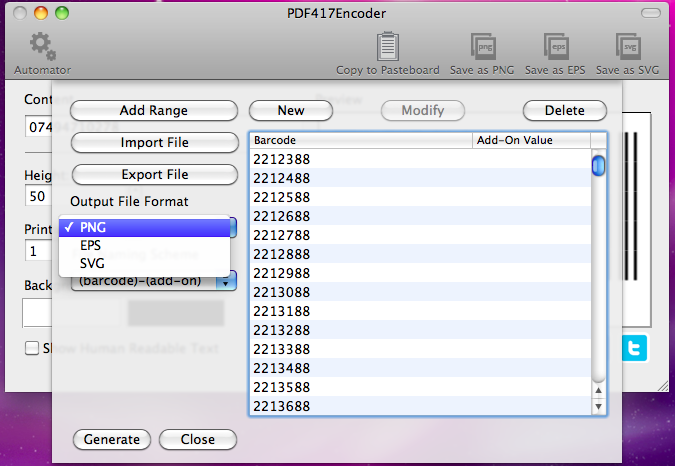 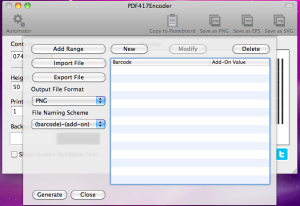 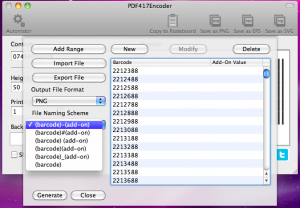 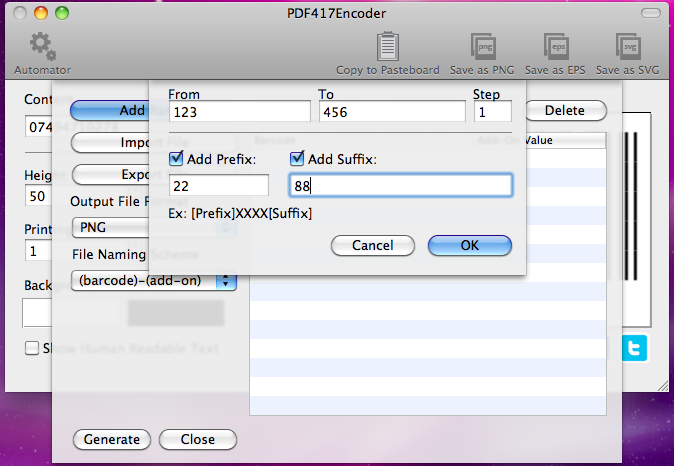 Here you can see how to work with PDF417Encoder by watching our video tutorials.